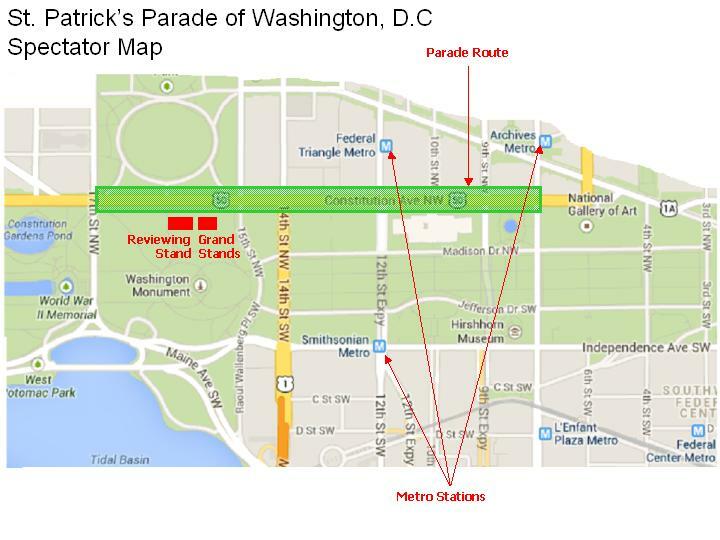 Upcoming Parade Events - St. Patrick's Parade of Washington, D.C. 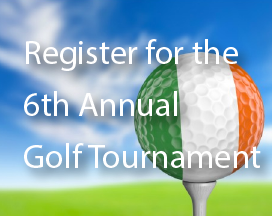 Registration is now open for the 6th Annual St. Patrick’s Parade Golf Tournament on Friday, May 17th! 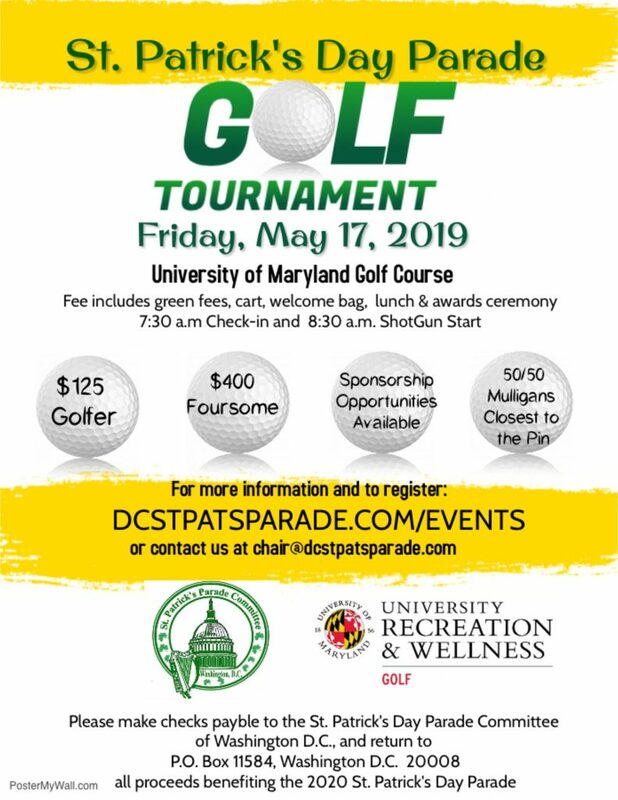 This year’s tournament is hosted at the University of Maryland Golf Course. Check-in begins at 7:30 AM with a shotgun start at 8:30 AM. Tickets for the tournament are available as a Single participant ($125) or as a Foursome ($400). 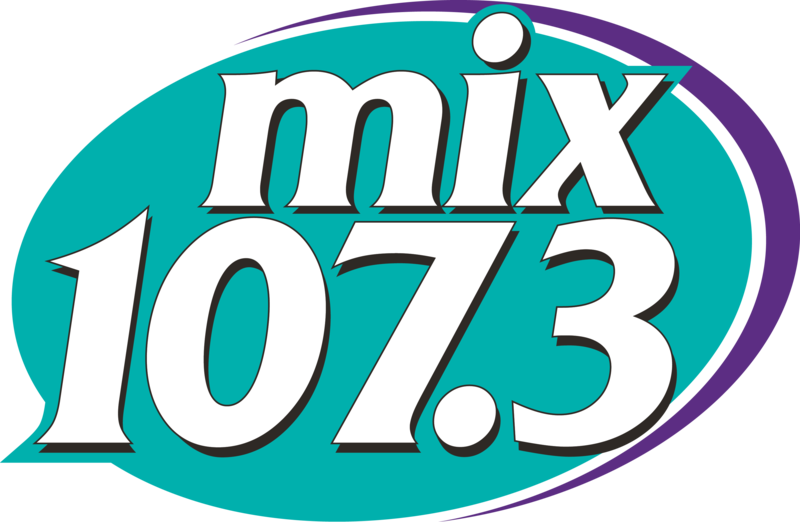 Hole sponsorships are also available for $250. The awards banquet will follow at the University of Maryland. Golfers must RSVP for the banquet.